Spotify’s CEO is now admitting that his company goofed when it announced its new policy changes. Earlier this month, the streaming service removed R. Kelly and XXXTentacion from its playlists in accordance with a new hate content and hateful conduct policy that allows it to stop promoting artists who violate the policy. According to subsequent reports, that policy has been so unpopular with industry insiders that some artists have threatened to remove their music in protest. 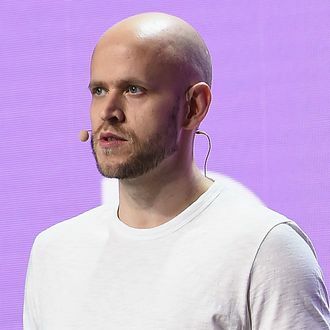 Per Variety, at a conference on Wednesday, Spotify’s CEO Daniel Ek took the blame for poorly executing the policy, saying it had “too much ambiguity.” “We rolled this out wrong and could have done a much better job. The whole goal with this was to make sure that we didn’t have hate speech,” he said. “It was never about punishing one individual artist or even naming one individual artist.” Asked by Variety if the policy was still being enforced, Ek said that it is still on Spotify’s website and will be “subject to future iterations,” noting that there have been ongoing internal debates on how to improve it.